Named after John Adamson our restaurant is displaying his later photography from 1st to 31st October as part of the St Andrews Photography Festival. 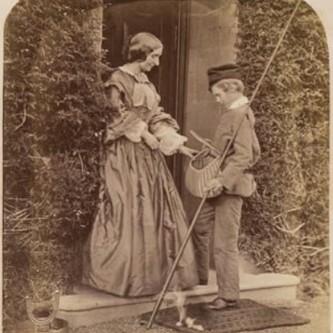 He spent most of his life in St Andrews, where he became the local doctor and experimented, along with his younger brother Robert, with the new art-form, photography in the early 1840s. His work is worthy of scrutiny, some of it appearing fairly modern in its approach, especially his portraiture. A copy of the National Museum of Scotland publication is available to purchase from The Adamson, please ask staff for details.